I suspect that he's going to be done in Avengers 4, as in done in. I don't think they're going to hire another actor or turn the Falcon or anyone else into CA. And sadly, I wouldn't bet on his picking up the shield again either. If he were returning to the role in the future I could see that recapitulation as being necessary, but if he's just going to be a casualty in the fight against Thanos, they aren't going to have any reason to Cap him up again. Most sadly, I think this is a poor move for Evans, if it is his move of course. He could have played Captain America for 20 more years. I mean, what's he going to do now? Play a cop or a football player or a spy, or do rom-coms? He doesn't seem to have that much range. Robert Downey Jr. could do practically anything, but he's said that he could play Tony Stark even into his seventies! melstapler and The Zodiac like this. I read that Downey said he could conceivably play Iron Man indefinitely, as all it entails is him stepping in and out of a suit, after that, ALL his action is CGI'd. All of them are CGI'd but I imagine the actors who do Thor, Cap, Wolverine, etc. all have to do stuntwork. Apparently Downey doesn't! David Campbell and dkmonroe like this. Evans has said numerous times that he wants to concentrate on working as a director. He's already directed a few films and I can see him making a name for himself doing that. melstapler and dkmonroe like this. Ah, I have a very dim memory of that. I hope he does well with it. Wasn’t the Cap’n being replaced by USAgent a running thing for a decade at Marvel? 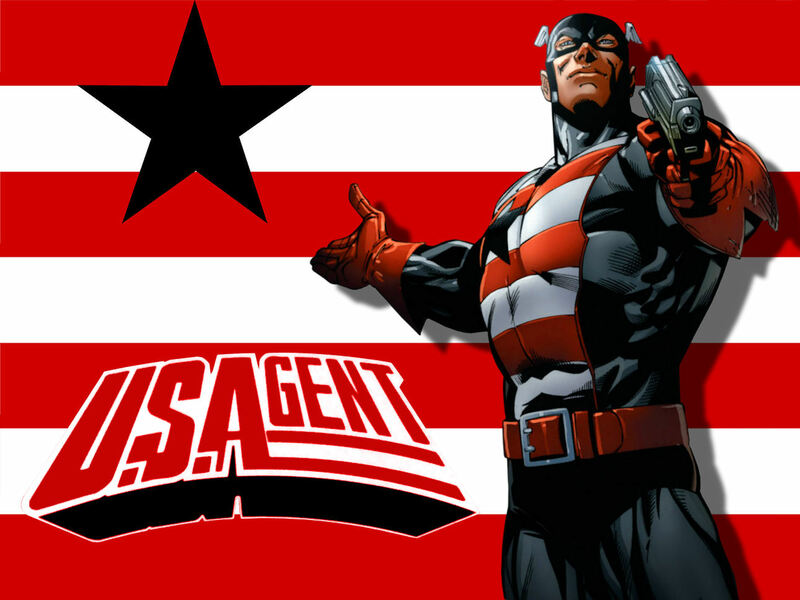 Steve Rogers quit and became US Agent while some other dude filled in as Cap. 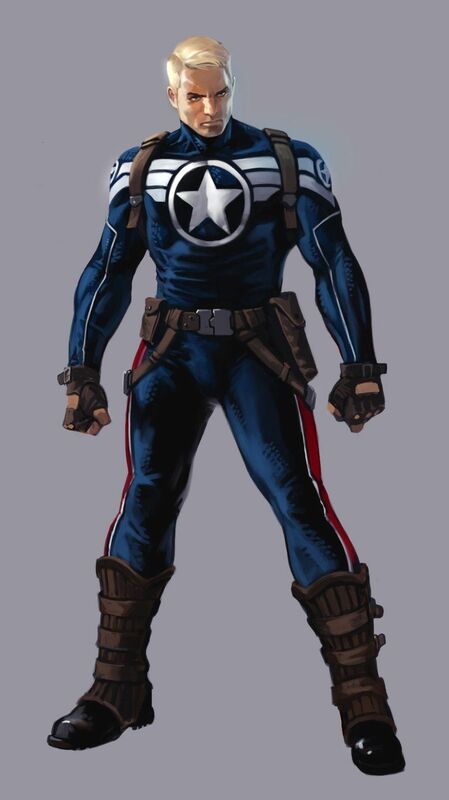 Eventually Steve Rogers returned as Cap and the faux Cap became US Agent. Only lasted about 17 issues, I think. I dont know anything thats happened since 1995, though, so maybe other stuff happened after I bailed. My apologies if this as already been shared here. I think it's pretty well done and shows how much footage they chose not to use. Vidiot, jpelg, lbangs and 2 others like this. The Black Widow is getting a raise. I don't think anyone with OCD would be able to edit a modern movie that has tons of motion capture/CGI/live action, they would go mad with all of the angles/options that are available for every single frame. BeatleJWOL and Simon A like this. Wounded Land, Sammy Banderas and melstapler like this. Commander Steven Rogers of S.H.I.E.L.D. My god, these crazy fans are nutty to go this much trouble. You know how long it must have taken to track down all the trailer shots? I would bet there's at least 2500 shots in the finished film. Simon A and melstapler like this. Finally saw this. Along with Ant Man/Wasp & Black Panther. Long flights really help catching up on these. IW was by far the best of the bunch and probably my favorite MCU movie so far. Just one helluva space opera really. Only drags were some of Thanos' long winded speeches and what I see as a major inconsistency with Scarlet Witch but what the hell. This one was too much fun to get hung up on those things. Ghostworld and melstapler like this. Too much of Thanos if you ask me, didn't have any problem with Scarlet Witch cept she should have a more designed flattering outfit. I just saw this on Netflix (on my new giant projector screen which when you were $.99 store glasses looks as good as a $40,000 4K set, but I degress. Now, I’ve never been the Marvel universe fan although I did enjoy Thor and Iron Man I never really got turned on by the avengers because they just seem like urban guerrilla warfare movies to me but this movie infinity wars was out of this world! I can’t tell you how much I enjoyed this movie I think this is the best one they’ve ever made. And maybe it couldnt be made without building up to it by introducing all these characters and all the previous movies! My first thought is this is “Tthe longest day” of superhero movies. In that epic war movie we had more movie stars then there’d been in the last three decades of film in this film, infinity wars, now we have all these characters who have become movie stars of their own, and they’re piled into this film the same way Hollywood used a pile of em in old time Epics and the result is actually fantastic. So there you have it you heard it here first we don’t need movie stars anymore we need superheroes of course I seriously doubt this movie would’ve been half as good without the class acts of Robert Downey Jr. here and Benedict Cumberbatch. I. totally love this movie. It was beautifully directed the story was both believable and for me pulled off the biggest trick of all which is pulling off that comic book or of something bigger and grander than the normal world. - Creating a marvel universe. Terrific movie. Luke The Drifter, Bobby Boogaloo, razerx and 2 others like this. Concluding part 2 out in a few months. Some other goodies this year as well.